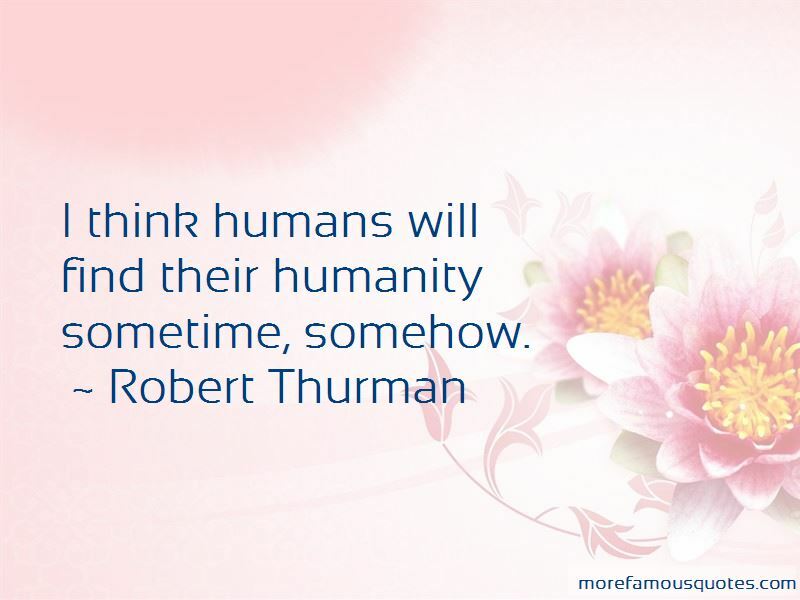 Enjoy the top 62 famous quotes, sayings and quotations by Robert Thurman. The understanding of it [absolute] is very important as a beginning point. Then you can use meditation, further reasoning, long-term familiarity etc., you can use all kinds of methods to deepen this understanding and to have it counter the instinctual sense of being an absolute you. The saying "no self, no problem" probably comes from Zen. In their cultures, where Buddhism is kind of taken for granted, as well as karma, causality, former and future life, and the possibility for becoming enlightened, then it's safe to skirt the danger of nihilism, which would be, I don't exist because Buddha said I have no self, and therefore I have no problem because I don't exist. That would be a bad misunderstanding. But in those cultures, it would not be as easy to have that understanding as it would be here in the west, where we really are nihilistic. The Buddhists think that, because we've all had infinite previous lives, we've all been each other's relatives. Therefore all of you, in the Buddhist view, in some previous life ... have been my mother - for which I do apologize for the trouble I caused you. Commercial interests with their advertising industry do not want people to develop contentment and less greed. Military interests in economic, political, ethnic or nationalist guises, do not want people to develop more tolerance, nonviolence and compassion. And ruling groups in general, in whatever sort of hierarchy do not want the ruled to become too insightful, too independent, too creative on their own, as the danger is that they will become insubordinate, rebellious, and unproductive in their alloted tasks. 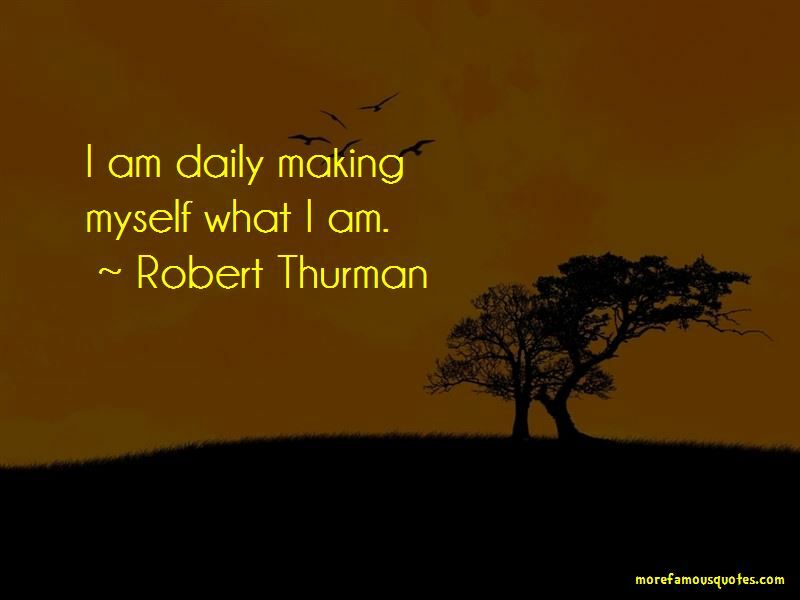 More than whether you live or die, it's how you are living or dying that is important. Greed, the desire to incorporate, is magnified and fed back to produce the pretan realms, just as hate creates the hells. People in Tibet have an expression. When you reach a certain degree of venerableness and age, and people ask, "How are you?," there is an expression that people use that means, "Just barely not dead." Some people might be frightened by it but I think it's quite funny. It isn't the meaning of love where you somehow desire that one or you want them or want them to love you. If you love your enemy, that means you want your enemy to be happy. So that's the process of understanding, and through that process, if you have a deep realization of the selflessness in regard to your absolute self, then it releases your relational self to be happily interconnected with everything in a blissful way. Then you yourself have "no problem" in the sense of no suffering. You reach Nirvana. If you see really bright lights, or hear really loud noises, go towards them, don't run away from anything. It's like giving someone instructions on how to handle a bear, don't run away from it. Stand up and try to make yourself look as big as possible. Don't give it the signal that it should chase you. And that's the case with the after death visions. Don't go for dark seductive lights, go only for bright lights. First of all, "no self" doesn't mean there is no self, haha. So the "no problem" is jumped at a little too fast I'm afraid. Especially in American culture where people tend to be materialistic philosophically. I don't mean running to the mall, but philosophically, you see? 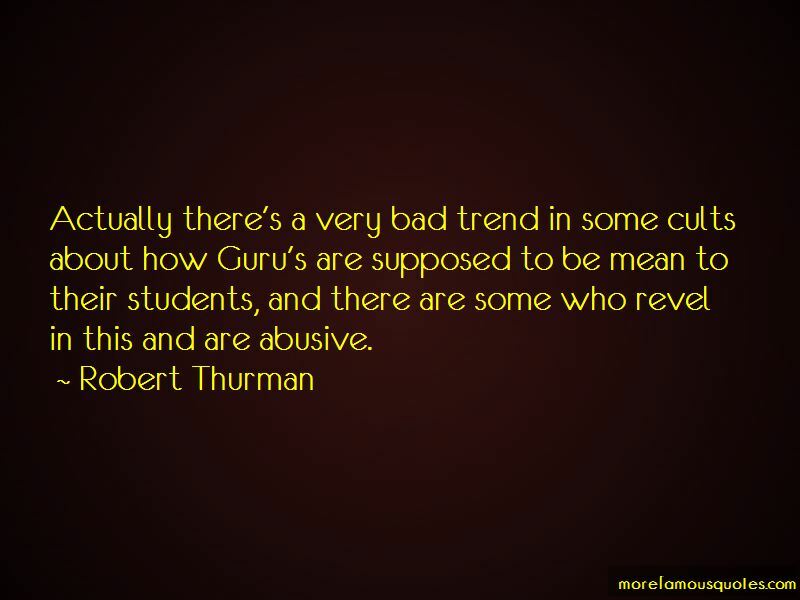 Want to see more pictures of Robert Thurman quotes? 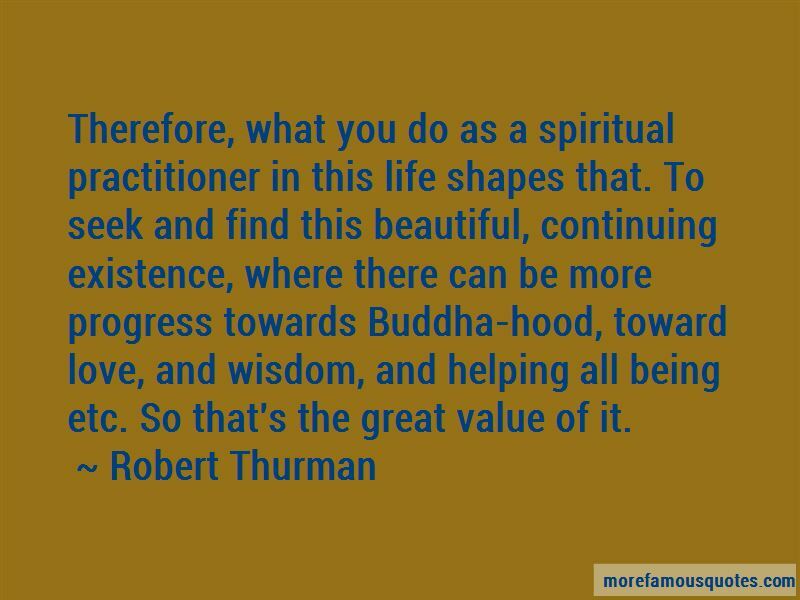 Click on image of Robert Thurman quotes to view full size.